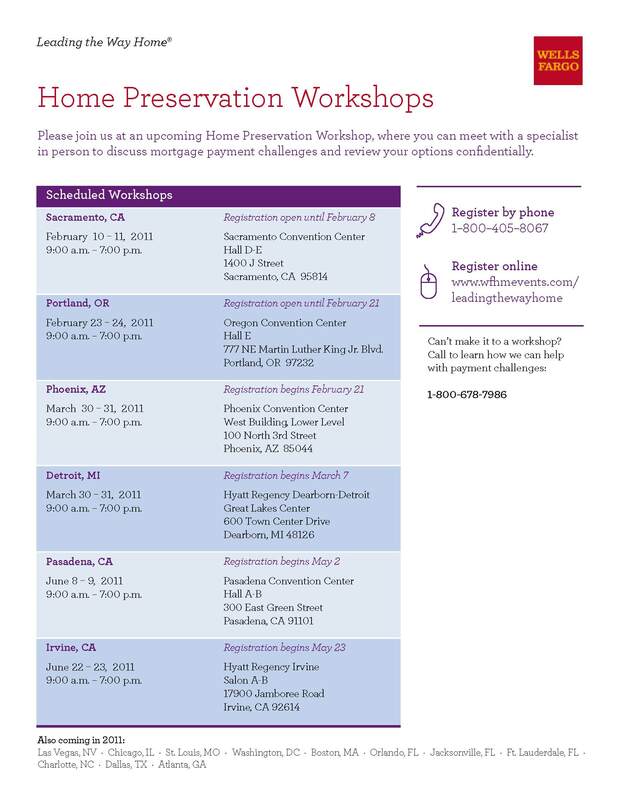 On February 23rd, 2011 Wells Fargo will have a free event for current home owners who are behind or foresee being behind on their mortgage payments. 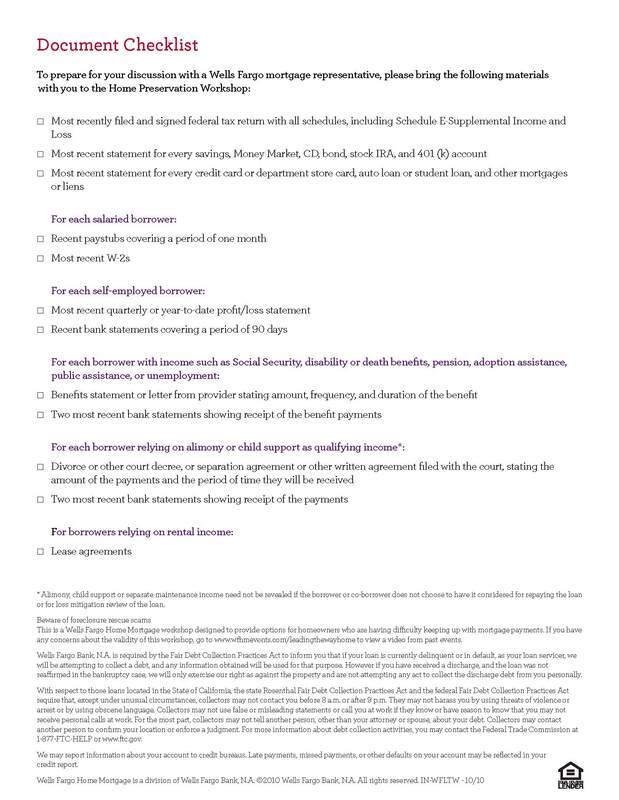 You will have an opportunity to work one on one with a lending agent who will work with you to redo or modify your existing loan. The event will be from 9:00am to 7:00pm and appointsments are available to be made now. Walks ins will be welcome but no gaurantee of a spot so call now! Please read all details below to know what to bring with you.